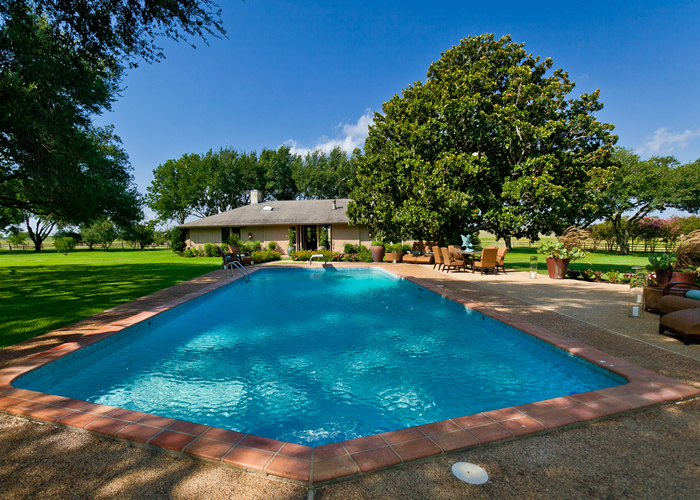 The Oaks is a private area on the north end of the ranch, consisting of a spacious Main House, a separate four bedroom Guest House, and a swimming pool. 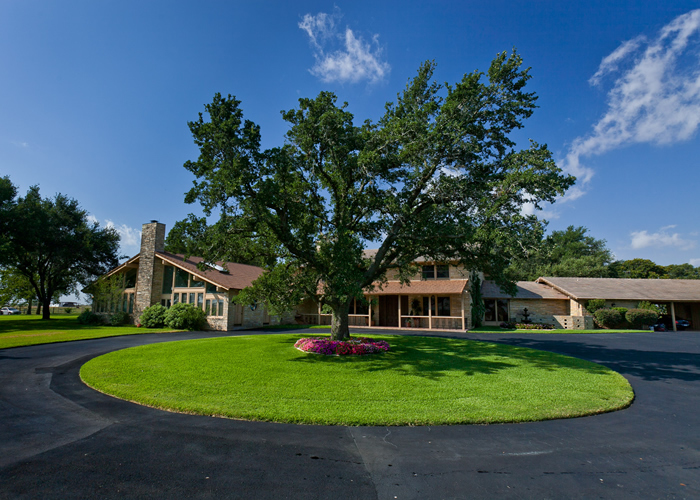 The 8,200-square-foot Main House features three bedrooms, 4 bathrooms, an office space, a dining room, a top-of-the-line country kitchen with walk-in refrigerator, grand main living area den and library. 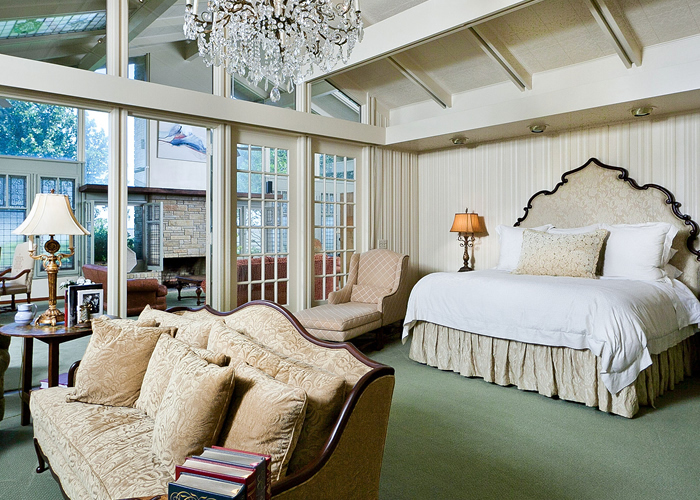 The 800-square-foot Sunroom connects to the Master Suite and features antique stained glass windows and a cozy fireplace. 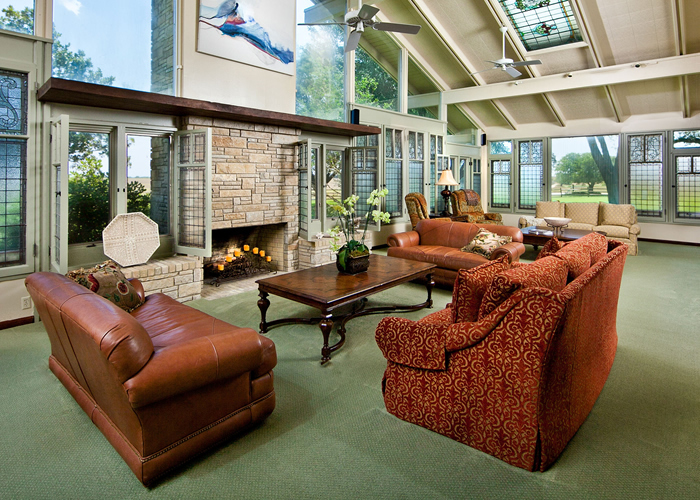 The views from the Sunroom overlook the entire property. Our Library sits majestically at the top of the wrought iron staircase overlooking the Great Room. The Library contains memorabilia from the era of the late Governor John Connally, a six-year Governor of the state of Texas, the Secretary of the Navy under President John F. Kennedy and the Secretary of the Treasury under President Richard M. Nixon. 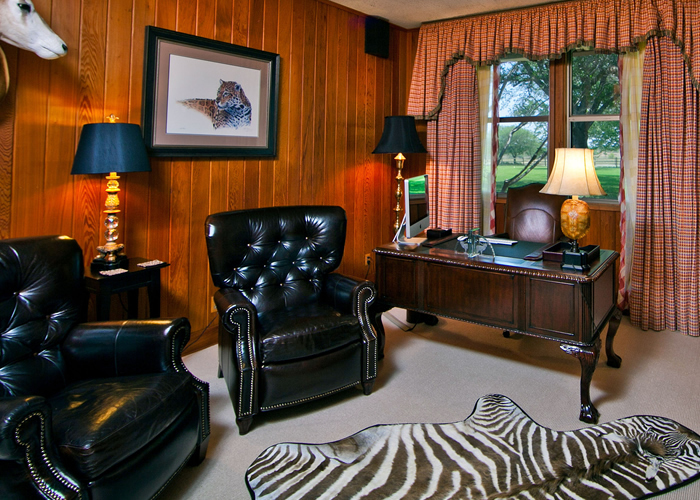 Next to the Library is the Governor’s office, which overlooks the Ranch. Thoughtfully placed behind the Main House, the Guest House is a 3,400-square-foot cottage designed by O’Neil Ford, a leading architect of the American Southwest. 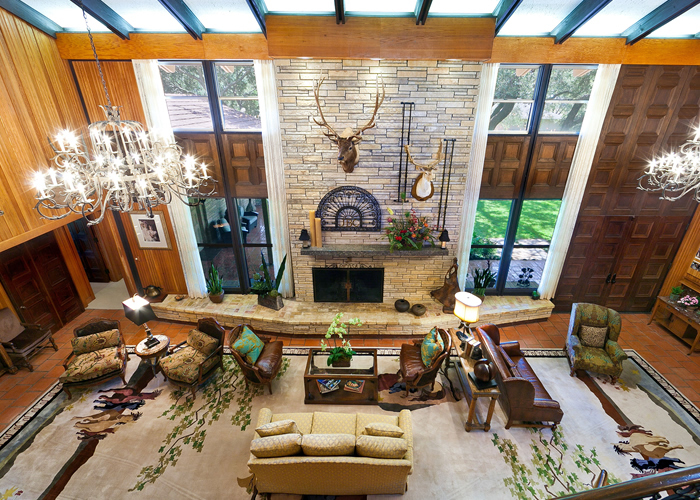 His designs merged European modernism of the time with indigenous qualities of Texas architecture. 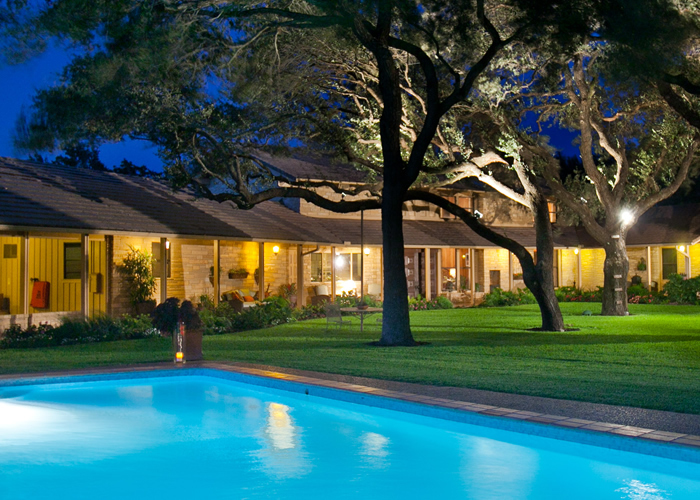 The Guest House contains four oversized suites, access to the private pool, spectacular views of the gardens and a lounge area which opens to the outdoors bringing the refreshing Texas air inside. 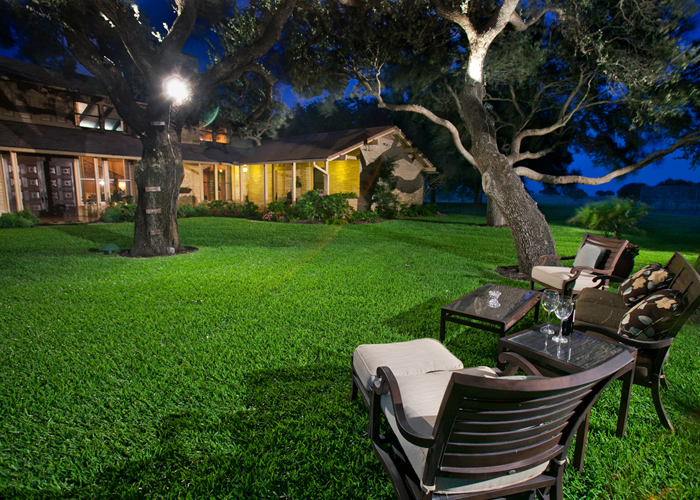 Beautiful landscapes surround the Guest House providing exquisite views of the gardens. 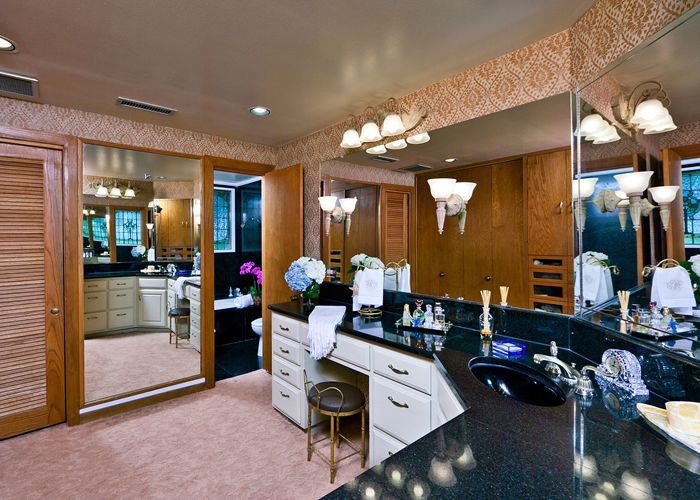 Each suite boasts 22-foot ceilings, a cozy brick fireplace, a private bathroom with separate his and her washbasins, a 42" high definition television with satellite, plush bedding and more. 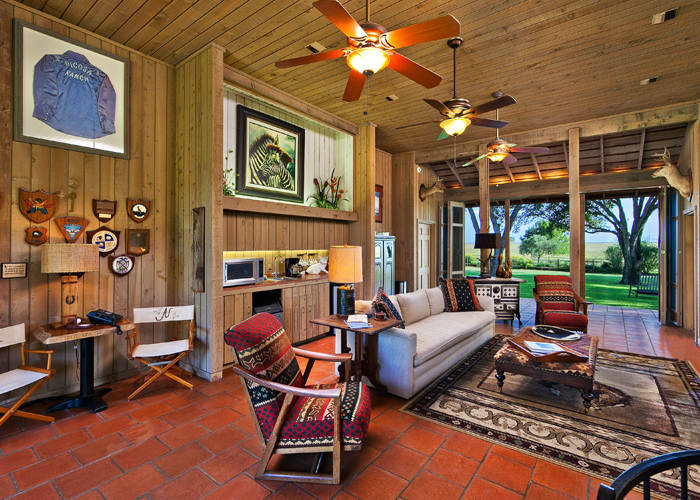 Oversized wooden doors flank the main living area, sliding open on both sides to bring the countryside within. 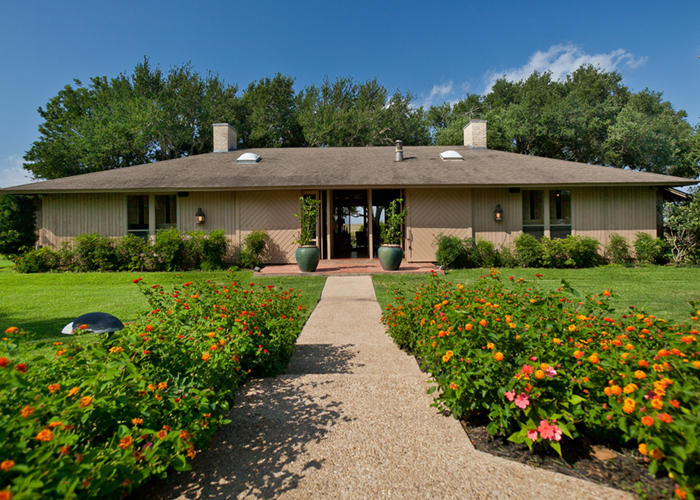 Beautiful landscapes surround the Guest House providing exquisite views of the gardens and ranch resort’s landscapes.